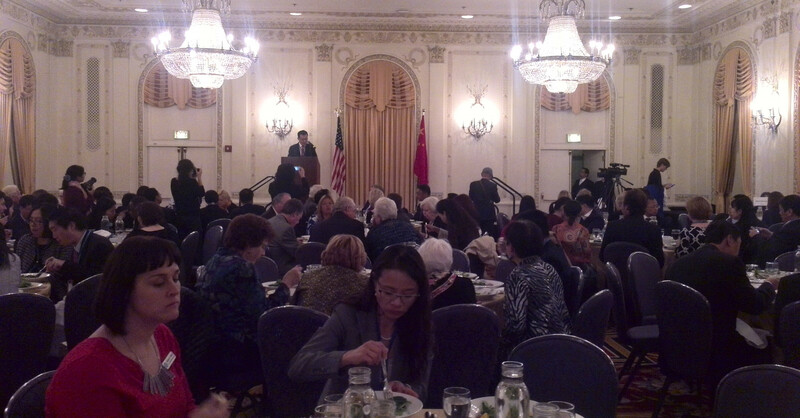 On October 23, Chinese Consul General to Chicago Mr. Zhao Weiping delivered remarks at the closing dinner of the Second China-US Sister Cities Conference. Consul General Zhao expressed congratulations on the successful conclusion of the conference. He pointed out that as the first major event concerning the local exchanges between China and the US since President Xi Jinping’s successful state visit to the US, the conference was of special significance in promoting China-US sister-city relationship as well as the practical cooperation between relevant cities. Local exchanges, especially sister-city relationship, have always been a strong driving force for the development of China-US relations. The connection between our two countries has never been so deep and close in extensive areas. The contribution of sister cities in this regard should be fully recognized. He said that he was encouraged by the ever growing sister-city relationship between China and the consular district of the Chinese Consulate General in Chicago, pointing out that as China and the US were working together to build a new type of major country relationship and economies of our two countries continued to prosper, enormous opportunities would for sure emerge for the mutually beneficial cooperation between the cities of both sides, and China-US sister-city relationship would achieve even greater development in the years to come. At the dinner, Consul General Zhao, along with Mr. Xie Yuan, Vice President of the Chinese People’s Association for Friendship with Foreign Countries (CPAFF) , Mr. Heng Xiaojun, Minister-Counselor of the Chinese Embassy in the US and Ms. Mary D. Kane, President and CEO of the Sister Cities International (SCI), also witnessed the signings of the agreements respectively establishing sister city relationship between Tustin, California and Heyuan, Guangdong Province as well as Yorba Linda, California and Tongchuan, Shaanxi Province. 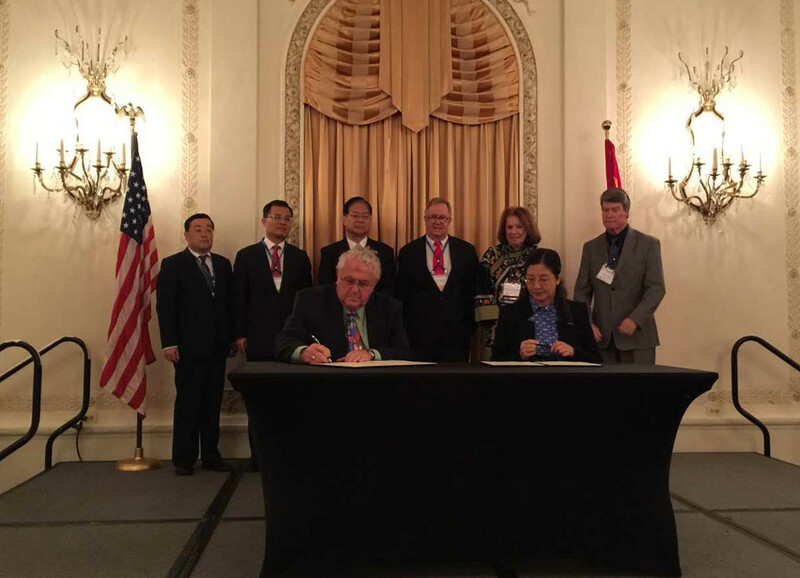 The Second China-US Sister Cities Conference was co-hosted by CPAFFC and SCI on October 22 and 23 in Chicago. 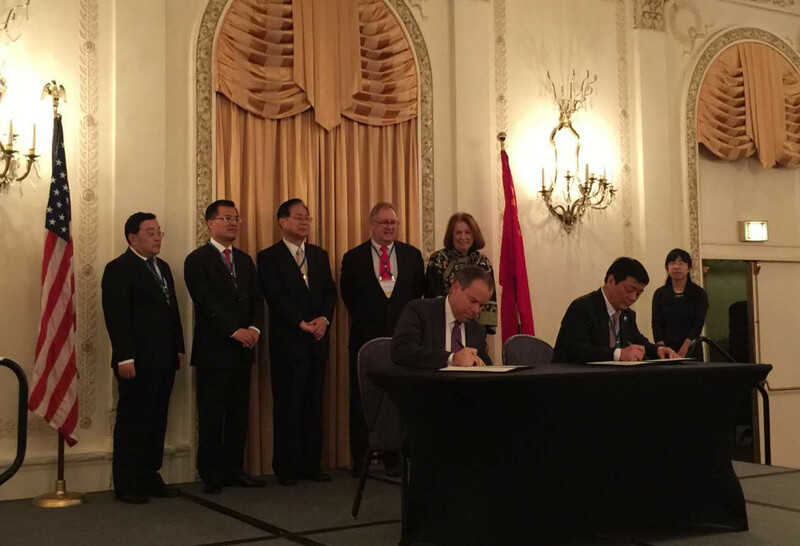 Mayors and senior representatives from nearly 70 Chinese and American cities attended the event.